Adam Equipment offers a selection of platform scales designed for demanding, heavy-duty weighing in factories, shipping and receiving departments, warehouses, and loading docks. 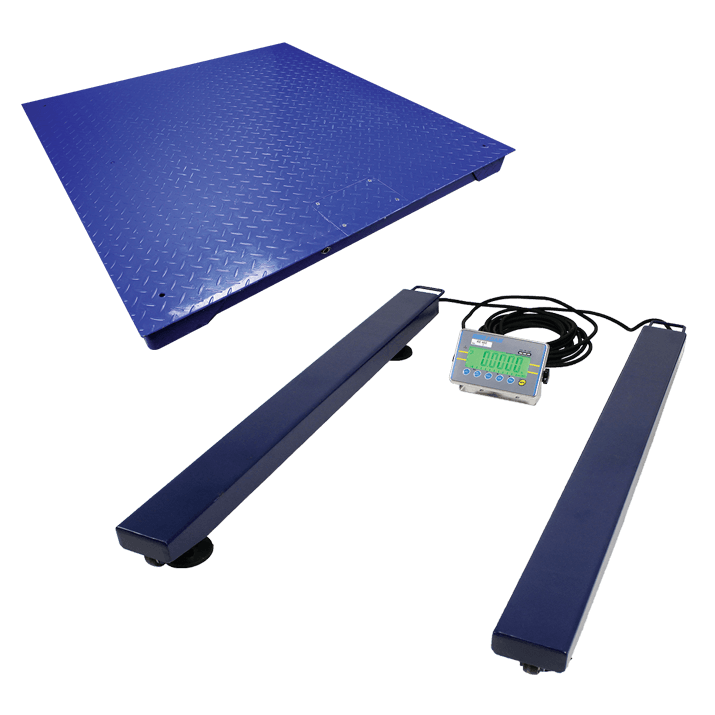 Platform scales are commonly defined as solidly-constructed, large surfaces that include a weighing sensor in order to measure oversized containers or large amounts or products. Platform scales offer much lager weighing capacities than other types of weighing scales and comprise of both weighing platforms and weigh bars that allow platforms or cages to be placed on top. Adam weighing platforms are constructed from mild steel and include a non-slip diamond-patterned surface for increased stability and traction. Our platforms can be customised with optional steel ramp attachments for moving difficult or heavy items including barrels and kegs, on and off the weighing area. Our pallet weigh beams offer a flexible alternative to typical platform scales with two steel weigh bars that can be moved closer together or further apart as necessary in order to place platforms of specific sizes onto the bars. Aside from weighing pallets and crates, operators can place platforms, cages and cattle crushes onto the bars in order to weigh livestock and cattle. Ideal for measuring oversized items, AELP pallet beams are outfitted with rugged built-in wheels and handles, making them easy to move.